So you are finally here! You are itching to start trading the global financial markets and become part of the growing revolution of worldwide forex, commodity and index traders. We all know the market deserves respect as it can help anyone build a serious fortune. Therefore, every trader needs a solid, sophisticated and stable platform to connect them to the global markets. Fortunately for you, you have such a platform that can easily be downloaded onto your computer or laptop in the next few minutes. Enter one of the most popular and best trading platforms out there in the market today – MetaTrader 4. As you’re raring to get stuck in and start trading the financial markets below is your quick guide to getting started on MetaTrader 4, or MT4 for short. Follow these steps for your quick and simple access to the financial markets so you can start trading today. Good luck. The first step is to get MetaTrader 4 downloaded onto your computer or laptop. 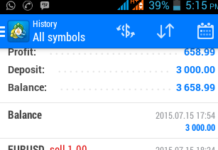 Therefore, head over to platforms and click the Download button for the MetaTrader 4 option. You can use MT4 as a web platform, mobile platform and desktop platform. Let’s focus on the most popular type which will be the desktop version. Your computer will do most of the work for you and would have downloaded a file called NetoTrade_MTR_setup_2016.exe into your Downloads folder. Once you select and open this file (usually it just takes a double click) it will start the process of downloading the MT4 software onto your computer. Once all the necessary files have been downloaded to your computer to connect you to the global financial markets you then need to read and agree to the licence agreement. Tick the box which says ‘Yes, I agree with all terms of this licence agreement’ and then the Next button should appear for you to click on. Go ahead and click on this. Once you’ve clicked next in the previous step follow all the prompts and click Finish. This should then download MT4 to your desktop. It should then open up automatically but if it does not open up automatically go to your desktop and double click the NetoTrade MT4 Client Terminal button. Now that you have downloaded the MetaTrader 4 software, open up the platform (it may already be open from the last step or you may have to do this by double clicking on the NetoTrade MT4 Icon downloaded to your desktop). To begin trading your next step would be to open up a trading account. Therefore, select New Real Account to get started so you can start to profit from the markets in no time at all. Enter your name, full address, email, phone number and leverage amount (most people just leave it the standard amount so it’s ok to leave to the default setting). Then you must tick the ‘I agree to subscribe to your newsletters’ box to continue moving forward. Once this tick box is selected the Next button should then be available to click. Go ahead and click this button which will bring you one step closer to trading on your MT4 platform. Once you have followed all the stages above you screen should then pop up with a window which will give you your login and password. Write this down and keep it in a safe place. Whilst you won’t need it to login in to your platform every time you open it it’s worthwhile keeping a note. The MetaTrader 4 software automatically remembers your login and password making opening up your platform a very easy process. Congratulations! 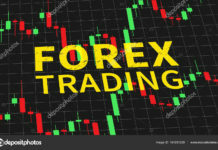 You have now successfully setup your MT4 trading platform and you are connected to the global financial markets. Now all you need to do now is get in touch with your broker, fund the account and you are ready to trade trillion dollar markets such as forex, commodities and indices. Awesome. Now that you have the MetaTrader 4 platform at your fingertips make sure you read the rest of this educational series to find all the best trading tools and indicators you have at your disposal within the platform.